Few have single-handedly changed the landscape of global airline alliances the way Willie Walsh has. As the CEO of International Airlines Group, the owner of British Airways and Iberia (and soon Vueling), Mr Walsh had an instrumental role in bringing Qatar Airways into the oneworld alliance. The ascension of Qatar occurs at a time alliances are undergoing significant change: Qantas in Mar-2013 launched a partnership with Emirates; oneworld's airberlin may partner with Air France-KLM; and Etihad has a staggering number of partners. Mr Walsh is respected amongst fellow executives for his candid and direct views – which peers perhaps wish they felt at the same liberty to say. 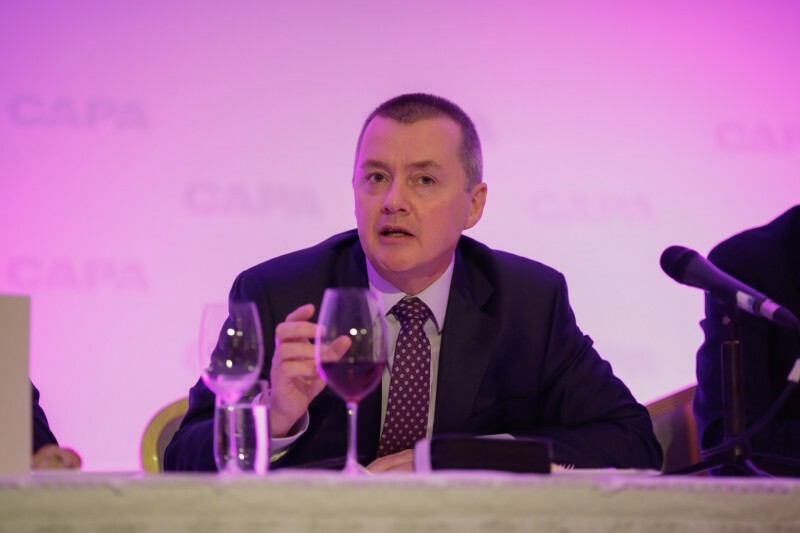 During CAPA's recent Airlines in Transition conference in Dublin, Mr Walsh gave a number of his thoughts on global alliances. He supports bilateral relationships and thinks the Qantas-Emirates alliance will be good for both partners. Mr Walsh also noted the limits of alliances: they are mainly to deliver additional revenue, not cost savings, and perhaps exist only because global mergers are not permitted by regulators. The three global marketing alliances – oneworld, SkyTeam and Star – may compete for the same passengers, but their structures are vastly different. Star is the most dogmatic when it comes to cohesiveness; this is unsurprising as it has the orderly Lufthansa to lead the way. SkyTeam is not as tightly bound as Star but relationships are still close, if only because anchor members Air France, Delta and KLM have a joint venture (Air France and KLM are also part of the same holding company) in their key trans-Atlantic market. But beyond the US-Europe corridor, there are ties, namely AF-KLM with China Southern and China Eastern. The mainland Chinese and Taiwanese members of SkyTeam have formed a mini alliance covering the cross-Strait mainland China-Taiwan market. And then there is oneworld. JVs exist – including British Airways with both American Airlines and JAL, as well as American and JAL – plus there are other deep partnerships, such as the joint business agreement between Qantas and American. But overall the alliance is more of a series of bilateral relationships, less integrated than Star. 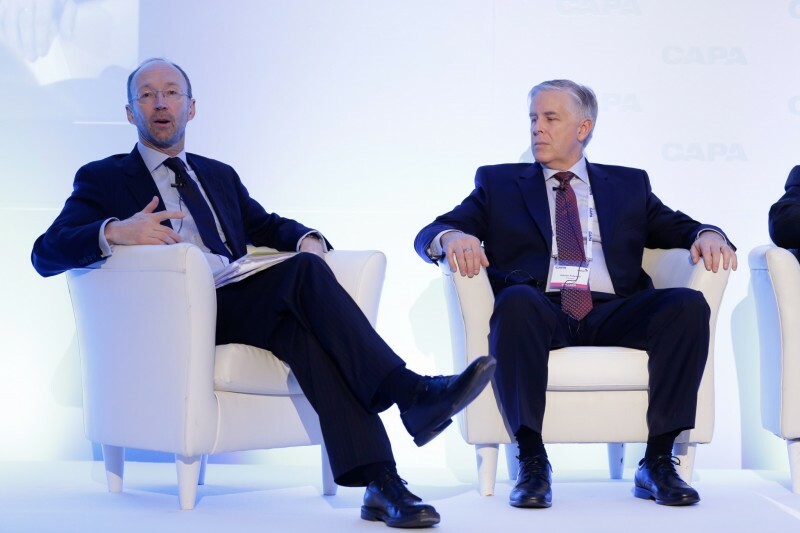 Finnair SVP Commercial Division Allister Paterson told the conference the oneworld alliance is the carrier’s central partnership platform and “we plan to stay in the game” of alliances. But Mr Paterson said Finnair is looking to complement its alliance membership with “small bilateral” relationships in undisclosed locations, as Finnair has some “holes we need to fill”. One of the biggest changes to alliances came with Emirates-Qantas, "which I fully support", Mr Walsh said, adding that “Alan Joyce was right” to form the partnership. The Emirates-Qantas alliance led to Qantas dissolving partnerships with Air France, Cathay Pacific and Kenya Airways – as well as the long-standing joint service agreement with British Airways. “Airlines should be free to have a relationship with someone who can fill the gap,” Mr Walsh said. That gap may also see a change in partners as “the alliances are not carved in stone and never will be”. Carriers have come and gone from alliances: Aer Lingus left oneworld to be unaligned, Continental left SkyTeam for Star, Shanghai Airlines left Star for SkyTeam and soon TAM and US Airways will leave Star for oneworld. And even before this current crop of alliances were Global Excellence and the Qualifier Group. Mr Walsh suggested the test of alliances is when cross-alliance consolidation opportunities emerge and whether airlines favour consolidation or loyalty to their alliance. So far consolidation has won with the aforementioned examples of TAM and US Airways leaving Star for respective oneworld partners LAN and American Airlines. Mr Walsh said the “benefit of consolidation will always trump membership in an alliance”. Consolidation being more important than alliances is necessitated by the balance sheet: alliances deliver additional revenue as their primary benefit. Cost savings are few if any. 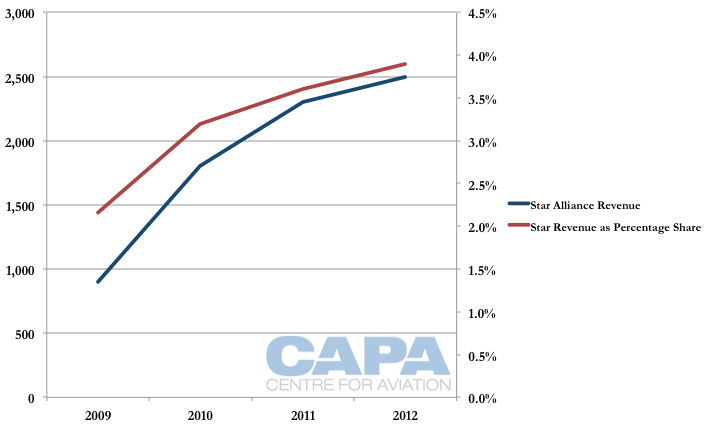 Examples of revenue benefits from alliances are few, but Air China offers an example with Star Alliance revenue accounting for about 4% of total airline revenue. Some of this revenue is lessened by alliance membership costs, not an insignificant amount. Star has arguably led the way with cost savings. Small initiatives range from sourcing contracts, such as blankets and fuel delivery. Star also has developed lounges for its members in cities including Buenos Aires, Los Angeles and Paris. Star also has a connections centre at London Heathrow and a spare parts portal. A bigger initiative was Star developing an optional common baseline economy seat to deliver cost savings through scale, namely to smaller carriers that would be unable to gain contract terms as favourable as large carriers. The alliance will consider what opportunities, if any exist, for a common in-flight entertainment and connectivity platform, again optional for carriers to take up. While oneworld has ground teams, alliance cost-saving initiatives are overall small. “That’s the bit alliances have failed to do,” Mr Walsh said. Etihad Airways’ equity alliance with airberlin and Air Seychelles has cost reduction as a core component. Etihad and airberlin will pool their 787 fleet and even have common interiors to gain synergies. Air Seychelles has gained from Etihad’s ownership from small initiatives like saving on printer toner to larger items such as aircraft acquisition and MRO. Air France and KLM are also considering a common business class seat for their A350s. With an emphasis on having a lean cost base more critical than ever, that cost must be under control for the airline to be viable. Merely adding revenue is not enough. "Being a member of an alliance does not guarantee survival,” Mr Walsh said. That was certainly the theme when airberlin joined oneworld in Mar-2012 when profits were elusive: its emphasis in joining oneworld was additional revenue, albeit small as the carrier's worth has yet to be realised. While Mr Walsh supports alliances and has played an instrumental role in oneworld's development, he remarked, "alliances are a poor substitute for proper consolidation” owing to near global prohibition on international mergers, save for rare examples like BA-Iberia and LAN-TAM. While alliances may not rival consolidation, they are worthwhile, and Mr Walsh said, “I think alliances do a good job”, but added more could be done if regulations were loosened. This view came in sharp contrast to EU director of Air Aviation and International Transport Policy Matthew Baldwin, who saw it as the EU's task to preserve European airlines from global consolidation. “We need strong EU companies. We can and should retain a tough competition regime. No apologies,” Mr Baldwin adamantly proclaimed. He noted however that having EU-owned carriers does not and should not limit a broad focus, saying the EU wants “global companies in practice and form”. On the theme of EU orientation, Mr Walsh was concerned the EU's airlines were not thinking broadly enough. “Europe is weak on a global basis because we are looking at tiny markets” that globally are not relevant, Mr Walsh said adding, Europe needs to “wake up and realise it’s not competition within Europe that’s relevant but Europe having a global” role. The early days of alliances foresaw members having equity stakes in peers in order to cement commitment in the alliance. Now-defunct SAirGroup of which Swissair was a leader, arguably in misguided ways, while Singapore Airlines partially-owned Air New Zealand, which in turn owned half of defunct Ansett Australia. British Airways took stakes in fellow members Iberia and Qantas. The Qantas stake, sold in 2004, was troublesome as it led to tension. Qantas questioned, as Mr Walsh decribed it: “Are you a partner or a shareholder? Are the two compatible?” (Mr Walsh was not CEO at the time). This view was strictly on the ability for the carriers to work together, and not whether it was financially viable (as many other stakes have proven, such as Singapore Airlines' investments in Air New Zealand and Virgin Atlantic). The BA-Qantas relationship was improved after equity was out of the picture. Mr Walsh did not rule equity as being unwise, supporting Delta's minority purchase of Brazil's Gol. Other equity stakes cement an alliance and ensure a partner receives some benefit – a driver behind Air New Zealand, Etihad and Singapore Airlines investing in Virgin Australia's domestic portfolio, which has no foreign ownership restriction. Etihad follows this model but also invests in airlines where there are clear network benefits: airberlin gives access to the domestic German market (and codeshare rights to Berlin, which UAE carriers are not permitted to serve); Aer Lingus to the US trans-Atlantic market as well as UK destinations and Air Seychelles opens up some bilaterals Etihad cannot access while being able to better promote a growing tourism destination (the Seychelles). Air Seychelles looks to ride Chinese boom & grow in tandem with part-owner Etihad – Australia next? China's HNA (Hainan) Group has a similar orientation if with less focused outcomes, although its purchase of Aigle Azure is clearly angled on the French carrier serving the Paris-Beijing route, which HNA's Chinese AOCs are not permitted to do. Delta's stake in Virgin Atlantic (relinquishing Singapore Airlines) fits into this strategic concept while Korean Air's recent purchase of CSA Czech Airlines is less clear. A number of potential partnerships await: Etihad possibly buying Jet Airways (India) or Jat Airways (Serbia), Asian carriers being interested in Cyprus Airways and All Nippon Airways looking to invest in Southeast Asian airlines. There has been more upheaval, for the better, for global alliances in the past year than perhaps during the rest of aviation history. From Lufthansa considering Asian partnership or LCC options, to SkyTeam wanting to attract LCCs, to oneworld having noticeable blanks in India and China, to Emirates flagging it will consider deep partnerships like the Qantas deal, this is a new start for global alliances. No doubt Mr Walsh will sway alliances more, and continue to influence colleagues.